Admitted in Washington only. Admission in Michigan pending. 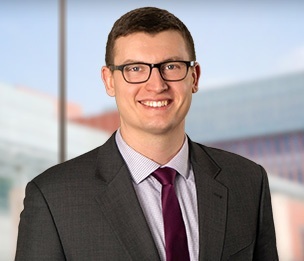 Eric Jay is a senior corporate associate in the firm’s Ann Arbor office. His practice focuses on corporate transactions, including mergers and acquisitions, venture capital financings, joint ventures, commercial contracts, and business formations, with an emphasis on energy, technology, manufacturing, and other regulated industries. Mr. Jay also regularly advises clients on general corporate and regulatory matters, including corporate governance, shareholder arrangements, electric utility laws and regulations, and U.S. export control law compliance. "Application of U.S. Bankruptcy Code Safe Harbor Provisions to Power Purchase and Sale Agreements"
"Real Property Practice Tip: Don't Be Misled By the Title – The Agricultural Foreign Investment Disclosure Act of 1978 Applies to More Than Just Agricultural Transactions"